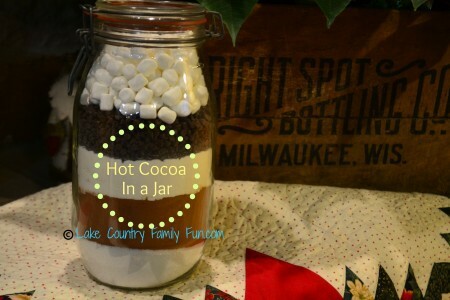 Hot Cocoa in a Jar! The gifting season is right around the corner. 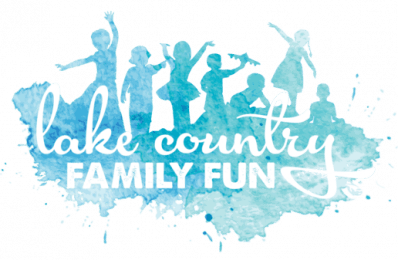 There will be gifts for the teachers, neighbors, babysitters, and pretty much everyone that you know either provides you a service that you can’t live without or is so cherished that only a homemade, thought out gift will do. I am all about cute small gifts, but the gift giving season can be so expensive and I love to have an excuse to be crafty! I had a neighbor who gave me an adorable snowman last year that was two mason jars, one had premade hot chocolate mix, and the top had marshmellows and was crafted to look like the cutest snowman. This made me think, how can I create something equally as cute, but with my own spin on it? I happen to watch a LOT of cooking shows and one of them had a challenge to ‘deconstruct’ a dish. Hmmm….deconstruction, that is it! Deconstructed Hot Cocoa was exactly what I would do for our gifts this year! So here is a quick tutorial on how to make this adorable gift yourself. 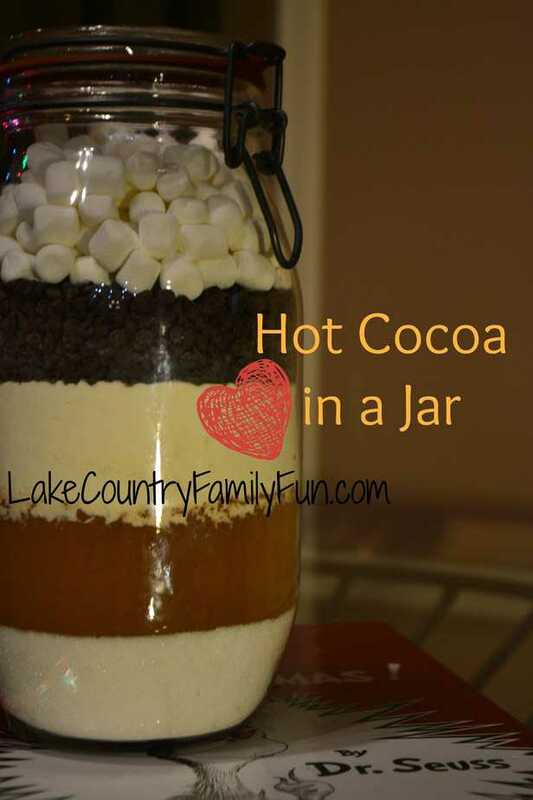 The key with this deconstructed Hot Cocoa in a Jar recipe is to keep the proportions the same, and you will make a perfect cup of Hot Chocolate every time! Layer the ingredients for homemade cocoa in a jar (from the bottom to the top: Sugar, Salt, Cocoa, Powdered Milk, Mini Chocolate Chips, Marshmallows). You can add a ribbon and a tag and then you have a simple but stylish gift. On the back of the tag, write: “Mix contents in a large bowl. For each serving, place 1/3 cup cocoa mix in a mug and stir in 1 cup boiling water. Store remaining mix in airtight container. This will fill a 1-quart jar (12 servings). This can also have crushed peppermints added to one of the layers as well to do a different twist and add some more color to the jar! We hope you enjoy!